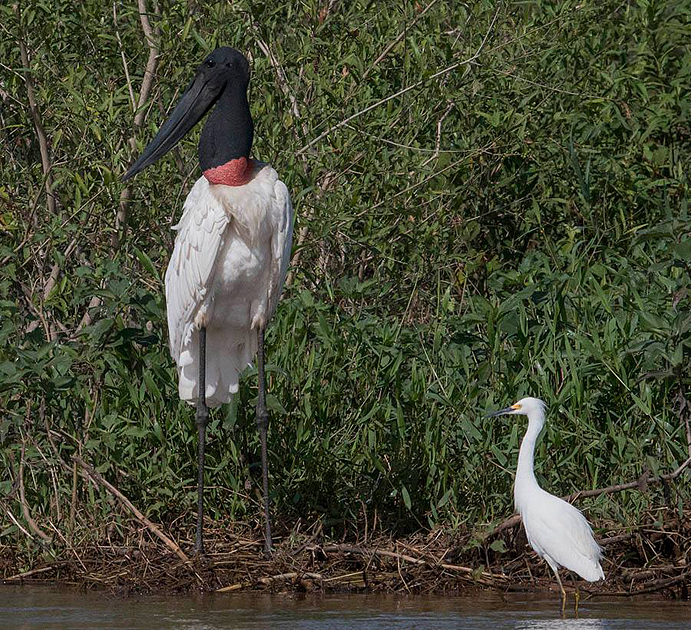 Jabiru Stork, the largest flying bird of the Americas, next to a Snowy Egret, Pantanal, Brazil. Photography: Arcana Mundi Expeditions. Jaguars of Brazil’s Pantanal.